For about six years Tyrre Burks (see above wearing the New Yorker helmet) had played college and professional football, until one day he pulled his hamstring. He had a bad time trying to communicate with all his coaches and trainers about how he was getting to practice and what his responsibilities needed to be. Finally, Burks decided he would quit playing football and concentrate on building a platform for athletes that would allow them keeping closer in touch with their athletic staff, monitor injuries, and schedule training accordingly. However, when he came to us, he had only some general idea. Despite all uncertainty, it took us only six weeks to turn the idea into a working application. We tried and rejected up to four variations before the final version of the product was built. 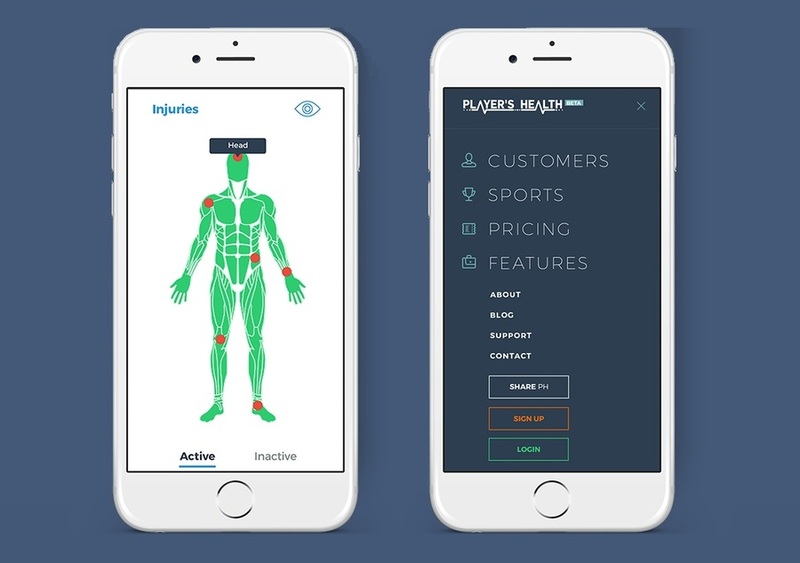 Today Player’s Health is a high-load sports injury management platform for the Web and mobile devices. It’s been popular among investors from the very beginning. It has already developed a partnership with USA Wrestling, and could soon be ubiquitous in all middle and high school sports. In 2016, Player's Health took the Judge's Favorite Award at Google Demo Day. GDD's expert panel of judges' featured representatives of Revolution and Case Foundation, Andreessen Horowitz, and 500 Startups.